How to Spot a Counterfeit Bible? Many people write and ask about a certain version of the Bible. With over 200 different English versions available and a new one coming out every 6 months, it’s difficult to individually separate Satan’s counterfeits from the Word of God. We created 25 simple checks to spot one of Satan’s counterfeits. Refuel Bible The latest Bible PERversion is the Refuel "Bible magazine" NCV New Testament for guys from Thomas Nelson. Revolve Blable The latest Bible PERversion is the Revolve "fashion magazine" NCV New Testament from Thomas Nelson. It looks, feels and reads like a fashion magazine. Folks, you've got to read this to believe it! The New Century Version: Easy to Read or Easy to Deceive? Our examination of the New Century Version. Heralded as the "easy to read" version, the NCV is clearly, one of the most corrupt and mistranslated Bibles in existence. The NCV is also the same base translation as the very popular International Children's Bible. A little known secret: Why was the NCV and ICB translated by a known cult? "True Images" Teen Bible for Girls A shocking article from World Net Daily on the True Images "sexually fueled" Teen Bible for Girls by Zondervan. How far will these money-hungry (1 Tim. 6:10) publishers drag the Word of God into the gutter? Ronald and Reagan and the King James Bible A transcript of one of Ronald Reagan's famous radio adresses. In this address, Ronald Reagan, the great orator, eloquently gives his thoughts on the "Good News Bible" (also called the Good News for Modern Man and Today's English Version) in comparison to the Authorized Version or the King James Bible. The Good News Babel A detailed analysis of the Good News Bible (a.k.a. Good News for Modern Man and Today's English Version). One of the most corrupt and most popular Bibles ever published. In some countries, it is still the number one selling Bible. SHOCKER: The NIV Teen Study Bible Frequently we receive emails or phone calls asking our opinion on the various "teen" Study Bibles. Zondervan's NIV Teen Study Bible is the number one selling teen Study Bible, boasting of over one million copies sold. What we found lurking in the NIV Teen Study Bible is hard to believe! We also compare, rate and select the Best Teen Bible. There was a clear WINNER! TNIV: Translation Treason What about The Today's New International Version (TNIV), the new gender-inclusive NIV. If this doesn't shock you – you need to check your pulse. . .
Is "Easter" in Acts 12:4 an error in the King James Bible? This article documents irrefutable proof for the FACT the King James Bible is the EXACT words of God. This is must reading. This will end the argument once and for all. . .
Galatians 6:1 in the NIV vs the AV An analysis of Galatians 6:1 in the NIV vs. the AV by Lance Schmidt. This is a very good example of the typical subtle distortion in the new versions. If you were simply reading the NIV, you would not realize the difference, but when carefully compared to God's Word — the difference is significant. Are You Washed in the Blood? Not according to the NIV, NASV, RSV, NRSV, CEV, NCV, and the other legions of new Bible Versions! This is a shocker! Greek Nuggets or Fool's Gold? The Truth about the Agape-Phileo Myth Excellent article by Dr. Herb Evans demolishing the agape-phileo-love "myth" fabricated by the "go-to-the-greek" correctors of the King James Bible. Some great info on King James and the history of the King James Bible. Some fascinating history and facts about King James VI and I. Must reading for the Bible Believer. List of publishers and distributors of material in defense of the King James Bible. List of King James Bible believing churches A state by state, and international listing of churches that still believe the King James Bible is the perfect word of God. Arranged by geographical location. Provided by www.biblebelievers.com. List of ALL the Errors in the King James Bible. A complete list of EVERY Error in the King James Bible. Archaic Words in the NIV? Much has been written about the "archaic" and "hard to understand" words in the King James Bible, but what about the "archaic" and "hard to understand" words in the New International Version (NIV)? From the book, "Archaic Words and the Authorized Version" by Dr. Laurence Vance. What about that "mysterious" symbol found on the NEW King James Bible? Is the symbol on the NKJV Satan's "stamp of ownership"? Interesting reading . . .
Dear Brother in Christ by Dan Nicholls. A copy of a letter sent to several "new version" pastors by a new King James Bible "convert". The Italicized Words in the KJV What about those curious italicized words in the King James Bible? Should they be there? Positive proof they are "God breathed"! From Fighting Back! by James L. Melton. 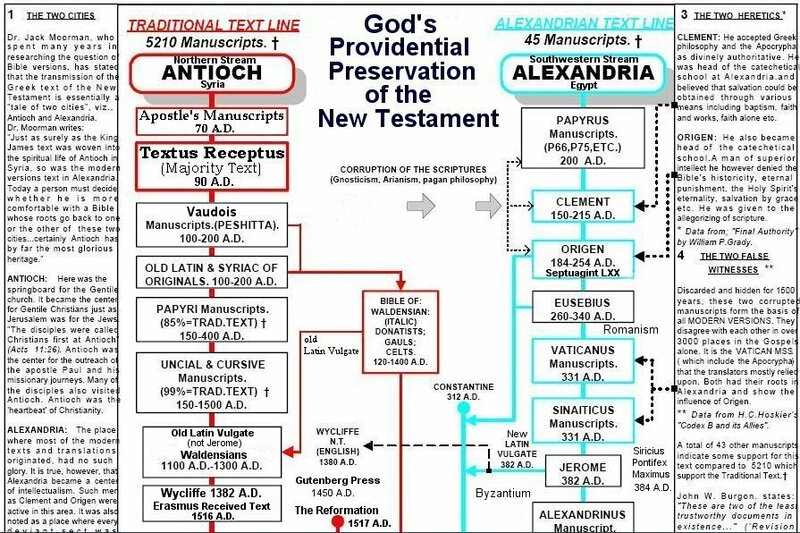 Siniaticus and Vaticanus Siniaticus and Vaticanus are the two main manuscripts used to "alter" the King James Bible in the new versions. Are they the best manuscripts, as ALL the new versions proclaim -- or are they actually the worst? From Fighting Back! by James L. Melton. Facts about Westcott and Hort Wescott and Hort are the two men behind the Greek text used in ALL the new versions. Did you know they didn't believe in a literal hell? Or a literal heaven? But were firm believers in Karl Marx (communism) and Charles Darwin (evolution)! Some "dirty little" secrets about these unusual men. From Fighting Back! by James L. Melton. Translating the King James Bible Little known facts about the translating committee for the King James Bible. Were these men led of God or just "obeying the kings' command"? From Fighting Back! by James L. Melton. "Errors" in the King James Bible What about those "supposedly" errors in the King James Bible like "easter" in Acts 12:4 or 1 John 5:7? It's amazing how those "errors" in the King James Bible suddenly disappear when you actually believe what it says! From Fighting Back! by James L. Melton. 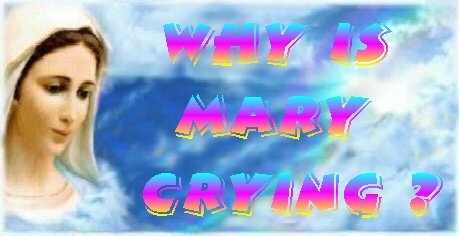 Questions for the KJV Critics Ten questions NO attacker of the King James Bible can "honestly" answer! From Fighting Back! by James L. Melton. Fighting Back! 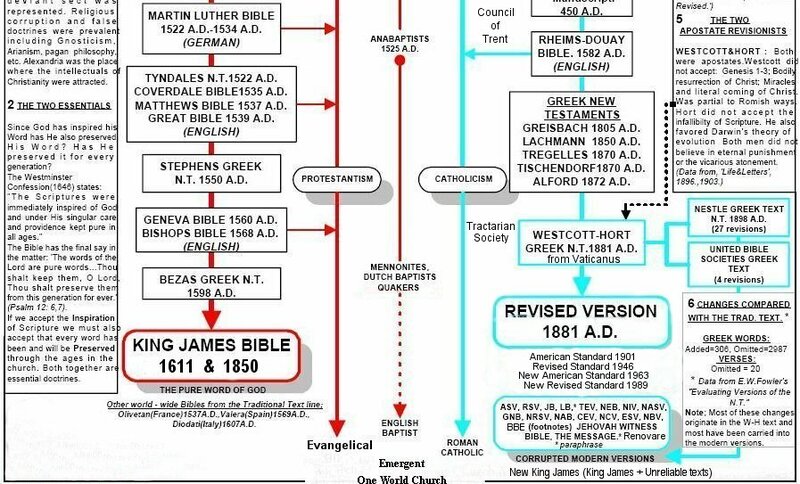 A Handy Reference For King James Bible Believers by James L. Melton. This handy reference is also available in a printed version. It is 38 pages and measures only 4" X 7". It is an excellant King James "quick" and inexpensive resource for distribution. It covers alot of material in a few pages. Contains info such as; Questions for the KJV Critics, The Italicized Words in the KJV, Sinaiticus and Vaticanus, Facts about Westcott and Hort, The Various Editions of the 1611 A.V., "Errors" in the King James Bible and much more. A twenty-five cent donation per booklet is appreciated, but not required. Can be ordered from Bible Baptist Church, P.O. Box 383, Martin, TN 38237. The Bible Believer's Helpful Little Handbook by James L. Melton. This handy reference is also available in a printed version. It is 42 pages and measures only 4" X 7". It is an excellant "quick" and inexpensive resource for new converts. It covers many subjects from A-Z. A twenty-five cent donation per booklet is appreciated, but not required. Can be ordered from Bible Baptist Church, P.O. Box 383, Martin, TN 38237. How I Know The King James Bible is the Word of God by James L. Melton. The New King James Version - A Deadly Translation by James L. Melton. From the NASV to the KJV by Dr. Frank Logsdon. The incredible testimony of Frank Logsdon, who helped lay the groundwork for the New American Standard Version (NASV). He actually wrote the Foreword to the NASV. Dr. Logsdon later said of the NASV, ". . . it's wrong; it's terribly wrong; it's frightfully wrong;. . ." Read his amazing discovery. Some very good material on the fallacies of the modern versions. What about all those updates to the 1611 King James Bible? Did Our Inspired Bible Expire? by Herb Evans, Ltt.D. A very good "common sense" definition for the meaning of "inspiration" of scripture. Some good food for thought . . .
Is the King James Bible Harder to Understand? One of the main reasons for the new versions is: "the King James is too hard to understand". But when The King James Bible and the new versions are actually analyzed using The Flesch-Kincaid Grade Level Indicator the results are quite the contrary! The King James Bible in HTML. O Madman: Gail Riplinger answers David Cloud's "cloudless" critique of New Age Bible Versions From the book Blind Guides by G.A. Riplinger. Must Reading. Gail Riplinger's Response to James White's Critique of New Age Bible Versions [ Part 1 ] [ Part 2 ] [ Part 3 ] [ Part 4 ] [Part 5 ] [ Part 6 ] [ Part 7 ] Gail Riplinger "answers" James White's Critique of New Age Bible Versions in the book The King James Bible Controversy. From the book Blind Guides by G.A. Riplinger. Clearly exposes the hypocrisy and lies of the King James Bible Correctors. 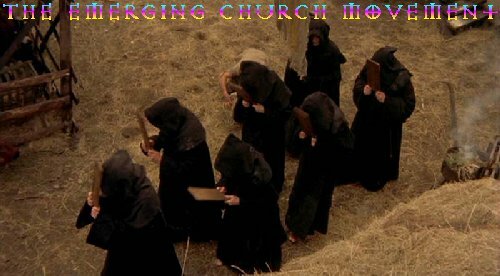 The Blind Leading The Blind Some "dishonest" critics of New Age Bible Versions. Brief History of the King James Bible by Dr. Laurence M. Vance Excerpt from the book A Brief History of English Bible Translations by Dr. Laurence M. Vance. Shouldn't We Be Loyal to the "Original Autographs" and not a Mere Translation? ANSWER: We should put as much value on the "originals" as God does. Very interesting article. Alms Giving to the poor to help them. Matt 6:1 ff. Axletree Spindle/shaft on which a wheel rotates. 1 Ki 7:32-33. Behemoth A large, plant-eating dragon or dinosaur. Job 40:15 ff. Clouts Pieces of cloth used to patch. Jer 38:11 f.
Duke Head of a family or tribe. Gen 36:15 ff. Ephod Linen garment worn by the high priest. Ex 25:7; 28:6 ff. Fairs Something gotten at a fair; wares. Ezek 27:12 ff. Fretting Eating away; wearing away. Lev 13:51 ff. or in the water/sea. Psa 74:14. Ringstraked Striped, streaked. Gen 30:35 ff. Sop A morsel of bread to be dipped. John 13:26 f.
In almost every language but Modern English, people knew whether the speaker was addressing one person or many. In Classical English, this is preserved. If the speaker is talking to one person, he uses "thee" or "thou". If he is talking to many people, he says "you" or "your." The King James preserves this distinction. When Jesus spoke to Nicodemus, He said, "Marvel not that I said unto thee, ye must be born again" (John 3:7). What He said in effect was, "Marvel not that I said unto thee (Nicodemus), ye (all of you people) must be born again." Jesus did not tell this only to Nicodemus. He spoke to all people of all times, from those who stood around that night, even to us today: Ye must be born again!